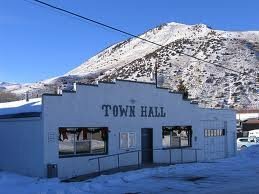 To reserve the Hot Sulphur Springs Town Hall or Town Park, please first confirm that the particular facility is available on the month, day and time that you need it by clicking on the "View entire calendar" link at the bottom of this page, then contact the town clerk by calling 970-725-3933 or emailing townofhss@comcast.net. 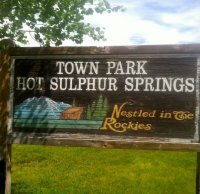 There is a fee to reserve Town of Hot Sulphur Springs facilities. The Town Hall is closed for the following ten holidays if they occur during regular Town Hall days of operation Monday through Thursday - New Year's Day, President's Day, Memorial Day, Independence Day, Labor Day, Columbus Day, Veteran's Day, Thanksgiving Day, Christmas Eve Day, and Christmas Day. These days are marked on the Town Calendar at least one year ahead of time. Check out the 'Community Events' page or click here for additional town activities. Click on the link at the bottom of this page to 'view entire calendar'.